Timing is key to reengaging shoppers who have abandoned shopping carts online. That’s the takeaway from new data which indicates that triggered emails sent earlier in the abandonment process show higher engagement and conversion rates than those sent later in the process. How big is the problem? 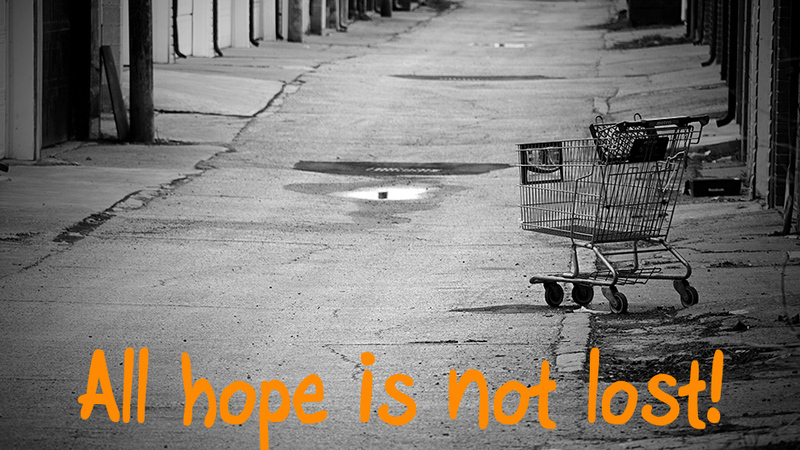 On average 67.45% of online shopping carts are abandoned before the customer completes a sale. That implies that your sales numbers may only be one third of what they could potentially be. Those shoppers who browse by filling shopping carts online and then abandoning can be turned into converted buyers. That’s the takeaway from new Barilliance data which found that triggered emails may be the key to re-engaging these lost shoppers. The Big Takeaway is 33% Converstion Rate – It’s remarkably effective as a sales recovery tactic. According to SaleCycle, nearly half of all abandoned cart emails are opened and over a third of clicks lead to purchases back on site. Which means that triggered emails re-engage customers. Comparatively, if the first triggered email is sent 1 day post-abandon, conversion rates drop to only 12%; conversion rates continue to drop if the second and third triggered emails are sent later, too. It’s a simple yet shockingly underused tactic by even some of the largest retailers on the web. 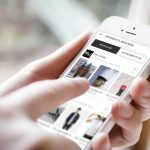 Stores that fail to generate abandoned cart emails include Macy’s, Apple, Nordstrom, and the Gap. These are big retailers that are leaving money on the table. Tiggered Emails Re-engage Customers. 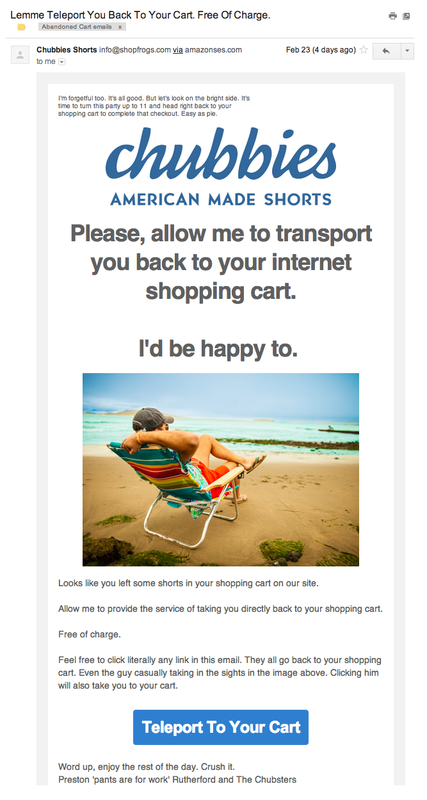 Abandoned cart emails are easy to create, and go a great length to pull back reluctant customers. Saving their cart, or displaying the items that they’ve planned to purchase, and sending the preserved cart to them with a link is the easiest way to get those customers back. Pay close attention to the way Chubbies Shorts wrote this email. “Allow me to teleport you,” “Let’s turn this party up to 11,” and “Word up” all go along with the image of the store run by fun-loving people. 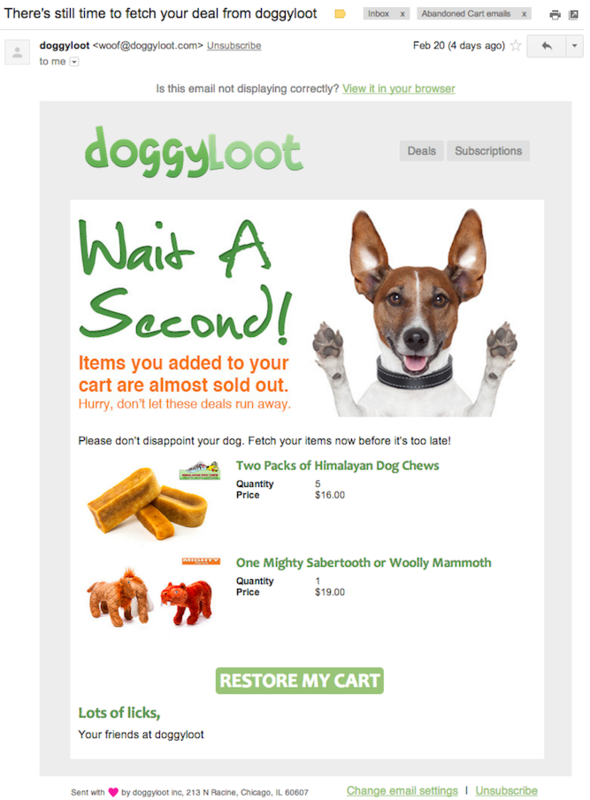 An email with great copy comes from Doggyloot. In addition to showing what has been selected and giving a link to the abandoned cart, it really lays it on thick with the dog imagery. Who doesn’t love dogs? Cat lovers actually, but that is besides the point. If your store persona is highly marketable, incorporate it into your copy. 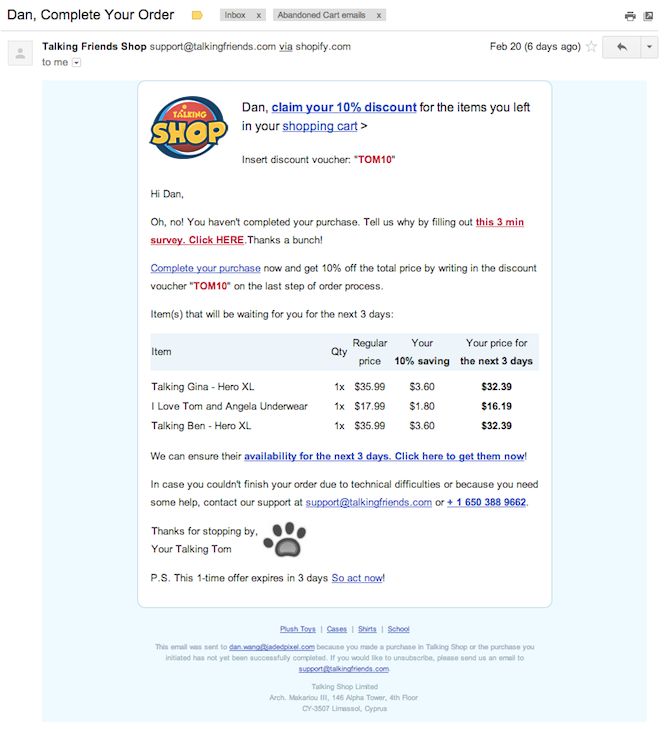 Even a store that has very little to do with dogs can feature a cute puppy in its email. Top Reasons – That’s why three of the top four reasons that people abandon their carts have to do with prices. And there’s a simple way to recover the customers who have been scared away by the final price: issue a discount. Discounts are easy to create. Simply decide on the amount, generate a discount code, and leave it in the abandoned cart email. Does it Fit your Strategy – Now, you’ve got to decide carefully whether discounts make sense for your business. You know that a lot of customers are abandoning their carts, but no two stores face the exact same mix of reasons. You have a good chance of encouraging your customers to make their purchases after a discount, but you also don’t want to lose too much in sales. Plus, it’s personalized. There’s a real person, not a generalized inbox, that’s offering to make a “deal” with you. Graphics – If you know a little HTML or can make some tweaks on existing graphics, it’s a good idea to make some enticing visuals. Think of abandoned cart emails as yet another platform for marketing. If all of your regular emails areslick, this one should be too. Consider using the possibility of your item selling out to encourage a purchase. There’s also another way to take advantage of that scarcity effect. You encouraged them to go through checkout and guarantee that you’ll hold the item(s) for them for a definite but limited time. Customers know that small stores frequently sell out of items. Knowing that the items will be held for them may push them to buy. 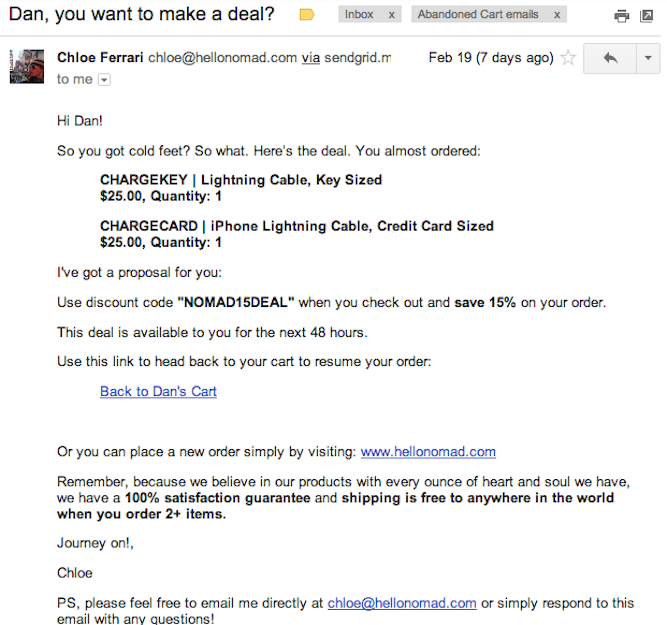 TEST TEST TEST… This email incorporates a lot of options. Although its design is more functional than flashy, it more than compensates in other ways. In order to find out what works for you and your customers, you will need to test.